Faster than a walking pedestrian! At least thats what his mum told him. More powerful than teenaged B.O. ! 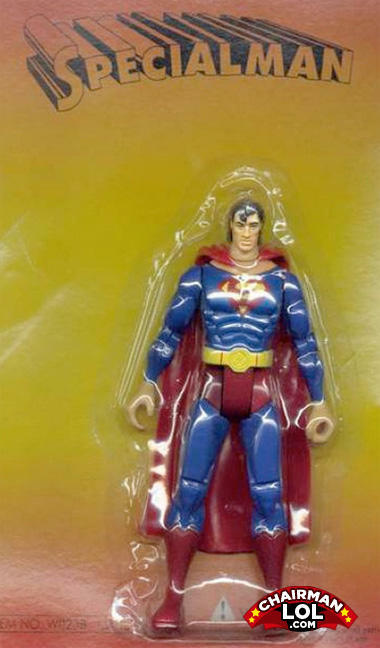 He is more powerful than superman because he is "special"
Because 7 is right behind 7 and he's naked.